Out of the more popular table games, we would argue that two stand out as being ideal for use in bars. Pool (or billiards) is seen as one of the more traditional bar games, but foosball comes in close behind it as one of the most popular choices. We will be going over some of the best bars for foosball players across America, from coast to coast. There are a few things that make for an excellent foosball bar. 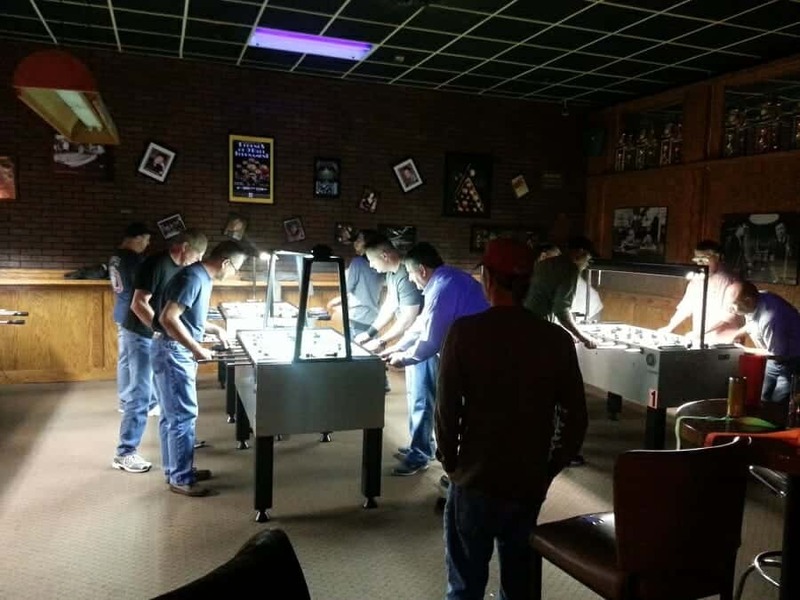 For example, you will usually want a relatively accommodating staff, a large enough space to play, and multiple game tables. The bars on this list will be from geographically varied spots in the country so there is the highest likelihood that one of our readers can find a bar near them. This list may also be helpful if you will be traveling soon and you would like to know where you can play foosball in the place you are visiting. Regardless, without further delay, let's get started. One of our favorite foosball bars in the country is The Local, down in Atlanta. One of the most noticeable things when you first walk in is the amicable staff. Unlike many other foosball bars, you can even get something to eat here, so you won't have to worry about hunger while playing. In fact, the food is one of the main reasons why you would want to visit the local. The boiled peanuts are an excellent (albeit messy) appetizer, and their chicken tenders are to die for. There is an area in the back devoted entirely to games, and it features the foosball table, as well as several TVs that play various sports. On the more northern end of the east coast, you will come across Bar 718, which is widely regarded as one of the best foosball spots in New York. 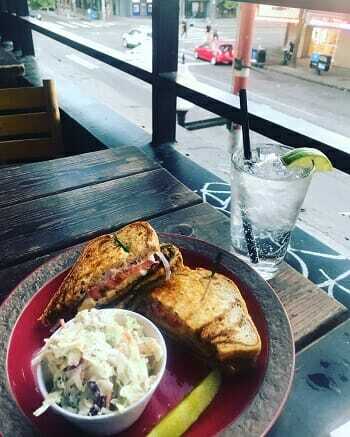 One of the main problems with bars in New York is the lack of courtesy, which we suppose is to be expected in one of the larger cities in the world, thankfully, the staff here are exceedingly polite. 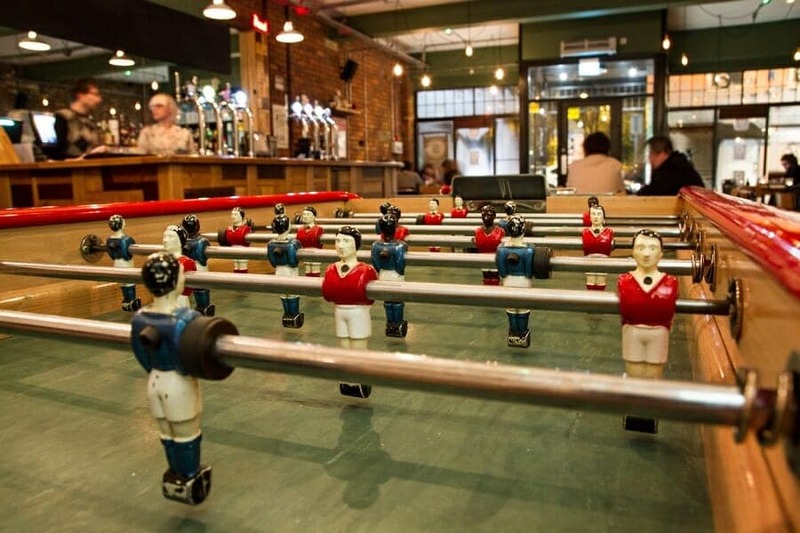 You can tell that the owner of this establishment is a foosball lover, their tables are painstakingly maintained, and they aren't the bargain models you see in some other bars. Our favorite foosball bar in LA is the Wellesbourne. You may be surprised to learn that this bar has a foosball table if you just look at it from the exterior. This bar resembles a classy pub from the outside as well as the inside. Thankfully, they have a game room where the foosball table is located. 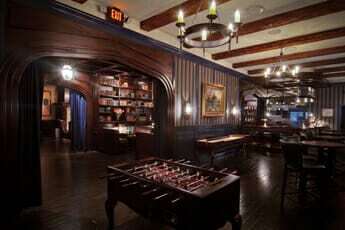 The patrons here are usually excellent players, so you may wish to sharpen up on your skills before your visit! 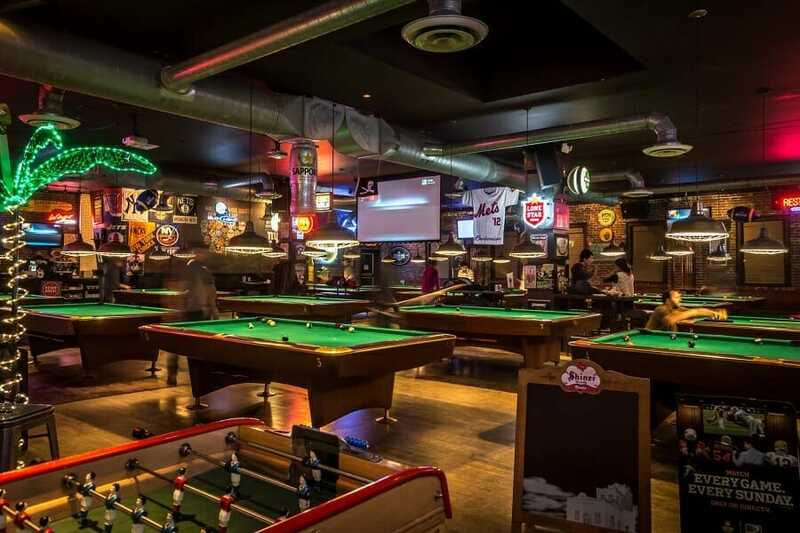 If you are in Las Vegas, you will have no shortage of places to enjoy a game of foosball, but Beerhaus is our favorite by far. Few places on the strip can match the aesthetic as well as the variety of games that they have available. If you get tired of playing foosball, you can switch over to one of their many other table games or you can head to the bar and get a drink. Beerhaus is particularly recognizable from the exterior, with its brick facade and the name written vertically on the wall in bold, block letters. 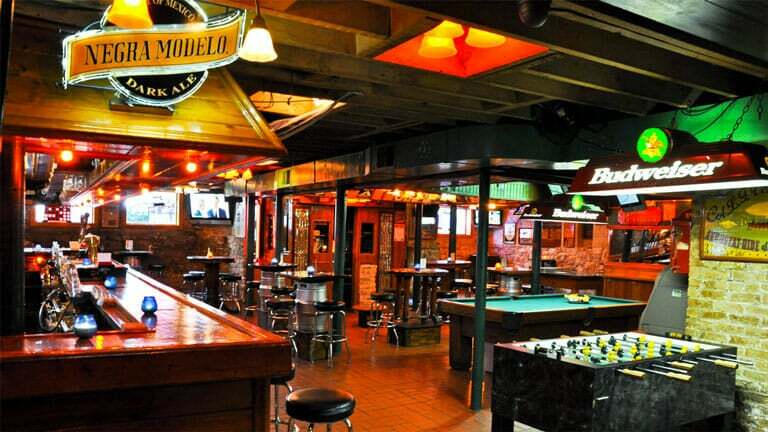 For our foosball fans in the windy city, there is no foosball locale more popular than Streeter’s Tavern. Unlike some of the other entries on this list, you will find that Streeter’s Tavern is a bit of a dive, and we mean that in the best way possible. The drinks are cheap, the staff is friendly, and the foosball is fun. That being said, don't expect this to be a prim and proper experience. Streeter's Tavern is rough around the edges, but that lends it its certain charm. Few bars in Chicago have the same beloved reputation as Streeter's Tavern. Going back to California, we have the Triple Crown Pub in San Diego. While this bar may not be the fanciest place you visit, it has a similar charming atmosphere to Streeter’s Tavern. There are many different games to play at this pub, though the foosball tables are usually well populated. The drinks at the Triple Crown are priced reasonably, and there is some pub grub on the weekends, though nothing of exceptional quality. This is an ideal foosball bar for those who want to have a good time and don't mind their experience being a little less than refined. 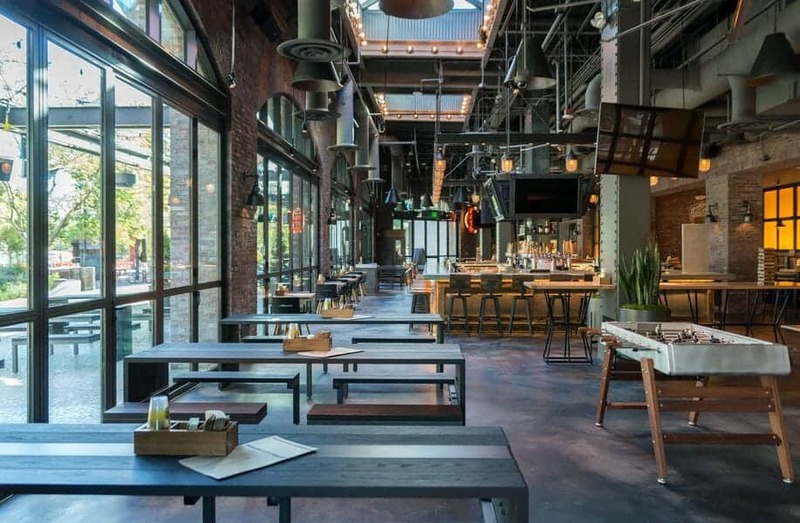 Sticking with the west coast, our next entry is the Highline Bar in Seattle. 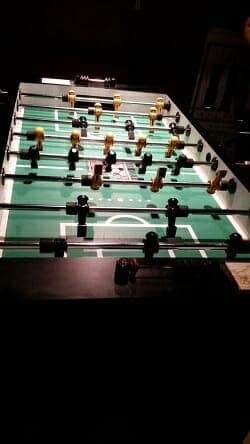 While there are many excellent places to enjoy a match of foosball in Seattle, the Highline Bar is our favorite. This foosball bar has a full menu that is packed with vegan delicacies. If you aren’t interested in eating, you have a great selection of drinks to go along with your foosball game. The skill level of the patrons usually varies from day to day, but the foosball players are generally above average, which makes for some fun games. 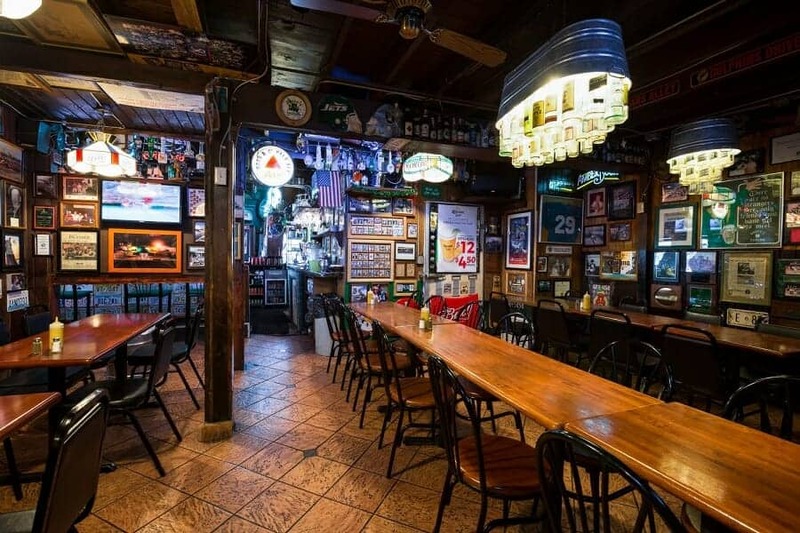 Most Miami natives will be well acquainted with Duffy’s Tavern as it is a local staple. Duffy’s straddles the line between a dive bar and an Irish pub, but they manage to pull it off. You have a great selection of games, and the foosball players are skilled enough to present a challenge. The food prices are impressive, especially if you come on days when they have specials, like Monday or Tuesday. If you get hungry while playing foosball, you’ll love Duffy’s. There are so many more excellent foosball bars across the country, and it’s a shame that we can’t present them all. Feel free to let us know what you think in the comments down below.